I remember it so well. After laboring, my sweet baby was laid on my chest. She made her way to my breast and nursed for the very first time. I remember looking up at my husband and doula and exclaiming “She’s nursing!” This tiny baby just a few breaths old was able to nurse without any instruction. She knew exactly what she was supposed to do and I was so very proud. The lactation consultant on staff visited me later that day and affirmed by pride, she had the best latch on the entire labor and delivery floor. And so began what I thought was the beginning of the perfect breastfeeding relationship. We came home and she nursed around the clock and I felt empowered and exhausted all at the same time. When it was time to go to the pediatrician we learned she lost weight and her weight loss continued for another couple of weeks. Feelings of confusion, inadequacy and guilt swept over me. My breasts were supposed to provide her nourishment and help her grow and for some reason they weren’t. I sought help from a couple of different lactation consultants and they helped me devise plans to help me make more milk. I also scoured the internet for extra tips and tricks. Things I tried: Power pumping; drinking water to thirst; taking Mother’s Milk/ Fenugreek supplement; lactation cookies; nurse baby, then pump; a prescription of Domperidone; Mother’s Milk tea; dark beer; nutrient rich diet; and hand massage and expression. Our whole life revolved and focused around trying to produce more milk. My breasts were always occupied by my baby or the pump and sometimes both at the same time. Even after all my hard work she still did not gain any weight. 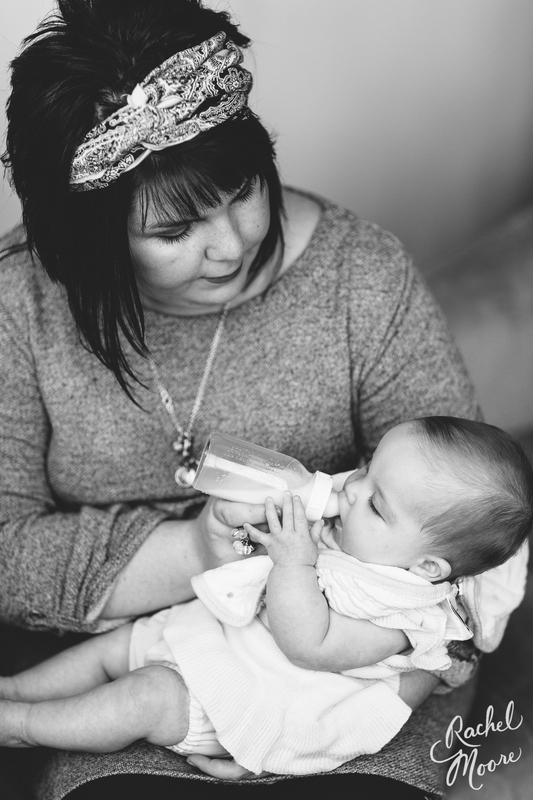 The breastfeeding relationship I had envisioned was vanishing and our pediatrician advised us to start supplementing with formula immediately…..follow this link to the Wishing Well to read our entire journey.